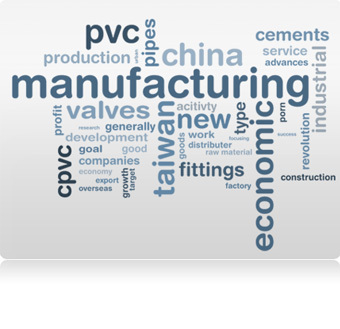 As one of the world's fastest-growing and most promising economies, China presents many opportunities for business development and fresh perspectives on industrial operations --opportunities that have drawn Hydroseal Canada to this dynamic country and its industrious, insightful people. With a major logistics center located on mainland China's coast, Hydroseal Canada takes advantage of local skills, supplies, and methodologies to help make its shipping and distribution efforts more efficient and cost-effective. Processing untold scores of products in various categories on a daily basis, China's business environment boasts a strong understanding of the choices and considerations that have an impact on bottom lines –and on customer experiences. We're proud to be a part of this growing expertise in order fulfillment through our activities in China. While volume is a concept certainly familiar to many Chinese businesses and strategists, local proficiencies extend well beyond the limits of size and amount. Creating truly efficient operational systems and attending to quality assurance are also areas in which China has shown its agility, and at our Asian logistics center, these attributes couldn't be more welcome. Adopting critical ideas in management, process control, product inspection, and many other essential domains, we blend our vision of precision piping with effective techniques for fast, affordable, and beautifully accurate logistics. Sending and receiving items to and from distant locations around the world may be easier than ever before, but there are still many lessons to be learned from professionals and highly experienced people who have met the demands of logistics under numerous sets of local circumstances. At Hydroseal Canada, we recognize the benefits of approaching order fulfillment with an open, global perspective that's as focused on operational quality as it is on flexibility. With each new task our China facility takes on, our breadth of knowledge and depth of innovation grow –something we celebrate with a fully international spirit.